Hello! I have another masculine card to share with you today starring my favorite K & Co stickers and papers. 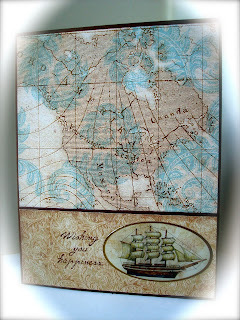 This paper is from the 'Voyage' mat stack, and the clear epoxy stickers are from 'Travel Map'. Superb masculine card Amy, beautiful ! 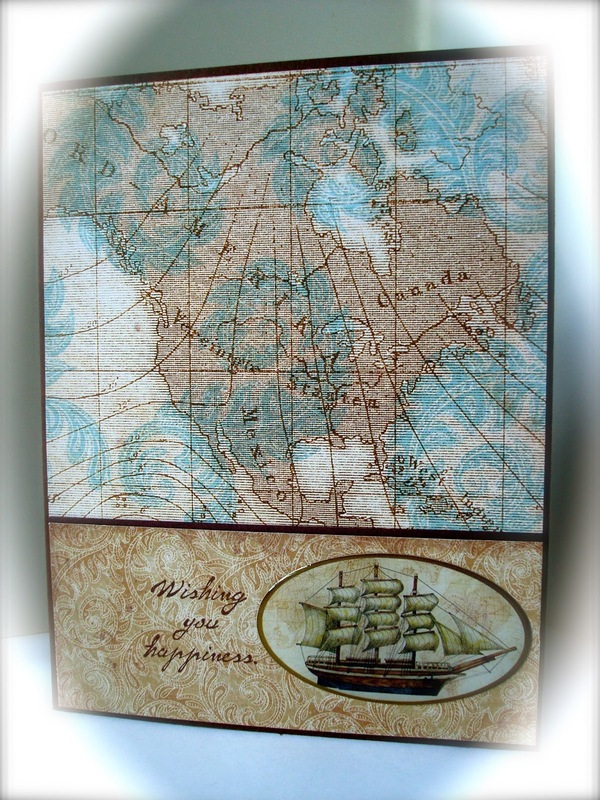 Love the map pictures of N.America and the fact you made it the focal point of the card. The ship looks totally right where it is placed and it's size. Fabulous design!